Please click here to visit my campaign site for further information. I have been the Wiltshire Councillor for Summerham and Seend since 2009 and I am a member of the Conservative Group on the Council of which I am the Secretary. I am an active member of the Wiltshire and Swindon Police and Crime Panel and take a keen interest in police matters in Wiltshire and Swindon. I regularly submit questions to the Police and Crime Commissioner for answering at the Police and Crime Panel. I attend police conferences on behalf of Wiltshire and Swindon. I also campaign on police and social matters. I will use this website to let you know what I am engaged in with Wiltshire Council and how that affects our community in Summerham and Seend which includes the villages of Semington, Great Hinton, Steeple Ashton, Keevil, Bulkington, Seend and Poulshot. This is a very sparsely populated rural Division which currently is spread over the three Parliamentary Constituencies of Devizes, South West Wiltshire and Chippenham. I am a graduate who served as an officer in the Royal Artillery at home and abroad for twenty three years. I retired from the army in 1999 and went into business as general manager of a marketing company operating from Wiltshire, where I also acted as sales manager. After two years I took over a busy local holiday business which I now run in partnership with my wife. I understand both business and its involvement with the wider community. 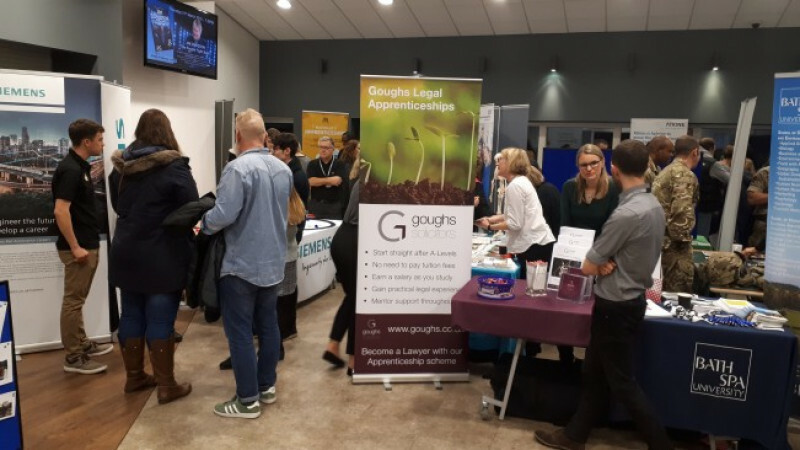 This experience has made me acutely aware of the pressures put on local businesses and local people by local government. I have lived in Wiltshire for the past twenty years and I now live with my family on our business premises just outside Devizes. I am married with one teenage daughter. I am deeply involved in the local rural community and rural affairs. I have also been heavily involved in local political and community work over the past ten years and have a great deal of experience in these spheres to offer local people. I am actively supported in my business, political and country sports activities by my family. I stand for traditional rural values but I am supportive of positive changes and developments to the advantage of the community as a whole. 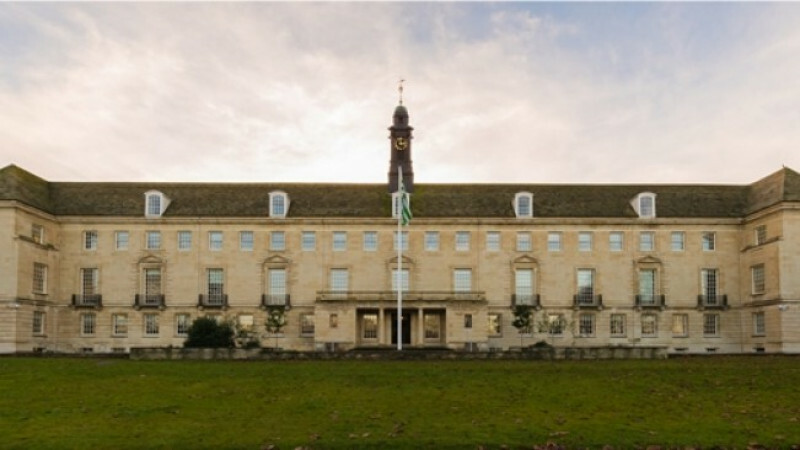 Prior to my election to Wiltshire Council in 2009, I served on Kennet District Council until that council was abolished to enable the formation of the new Wiltshire Council. During my time at Kennet I served as vice chairman of the influential Overview and Scrutiny Committee and a member of the Regulatory (or Planning) Committee and was asked to stay in this role until the election in June 2009. I was also selected as the sole Kennet District Councillor to sit on the Joint Overview and Scrutiny Board of the five councils which merged to form Wiltshire Council and again was asked to stay on in this role until the new Wiltshire Council was elected in June 2009. Whilst serving as a Councillor I have established a track record for getting things done whether it was a difficult planning application or a matter of changing Council policy. I also took a keen interest in community life and helped to initiate council funding of eight community projects in my last year as a district councillor. In my first term as a Wiltshire Councillor I was selected to serve on several council committees and was chairman of three, including the influential Melksham Area Board, the Wiltshire County Licensing Policy Committee and the Operational Flood Working Group for the north of the County before the 2013 local election. After that election I was appointed as the Cabinet Member for Communities, Campuses, Area Boards, Leisure, Libraries and Flooding on Wiltshire Council. In 2011 I was moved to take on the large Housing portfolio as well as retaining Leisure, Libraries and Flooding. I am also a member of the Western Area Planning Committee as well as Chairman of the Melksham Area Board. I am an active member of the Conservative Party and was heavily involved in our successful 2017 Wiltshire Council Election Campaign. I understand Wiltshire rural life, I am a successful local businessman and I stand for family values. I am not an advocate of political correctness but I am a political and people person. I mix with people from all walks of life and I understand people. Please do not hesitate to contact me if the need arises. I am available on the numbers displayed at the top of my profile, and will be happy to assist you in any way I can. I am always involved in local issues and projects. 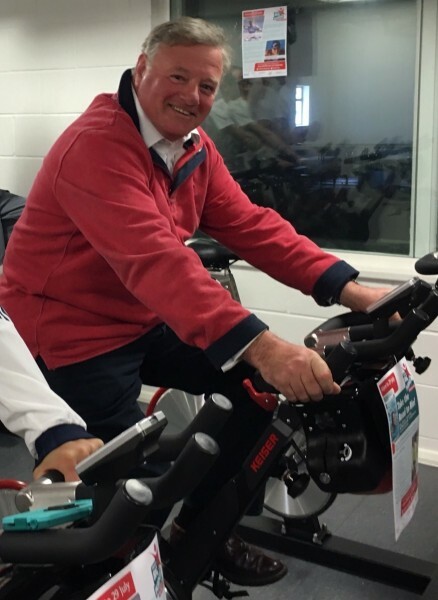 I am Vice Chairman of the Melksham Area Board and have been involved in the Melksham Community Campus since its conception and I am pleased to see that the new Oakfields Sports Centre is now completed. This £7m project will provide a centre of soccer and rugby excellence for the County for years to come. The Market Square improvements and the new Melksham Skate Park are now complete and I have been heavily involved in both projects. The Community Campus itself will be built by 2021 and Melksham really will have a community facilities to be proud of. I am also involved in local sporting events, clubs and charities as well as a great deal of political work for the Conservative Party. Since the 2017 local elections I have taken a strong political role within the Conservative Group on the Council which includes Group Secretary and campaigning. I am also a Portfolio holder for Flooding and elements of the Armed Forces Community Covenant. I remain interested in work for the homeless. Although Wiltshire has a relatively small homeless population nonetheless they are an important, complex and vulnerable sector of our community that needs help. I have been out and visited many of the homeless and talked through their issues and how we might help to solve them. As a result, and by working closely with partners, Wiltshire Council has launched local initiatives to help the homeless in a way that they feel will make a difference. This work is particularly important for veterans who have fallen on hard times. I am also involved in voluntary work and have recently taken up the appointment of West Wiltshire Area President for St John Ambulance as well as starting to get more involved in the running of British Eventing where I am a Steward with responsibility for overseeing national events. My daughter competes at international level in the sport of eventing. I am a Wiltshire County Judge for the Wiltshire Campaign for Rural England Best Kept Village Competition. Summerham and Seend includes the villages of Semington, Great Hinton, Steeple Ashton, Keevil, Bulkington, Seend and Poulshot. Semington is the largest of the seven villages of the new Division of Summerham and Seend and I have found the issues which are concerning the villagers of Semington to be both especially interesting and concerning. Until recently I was a Governor of St Georges Church of England Primary School. Semington is a strong community and often has issues which engage and galvanise residents into action. 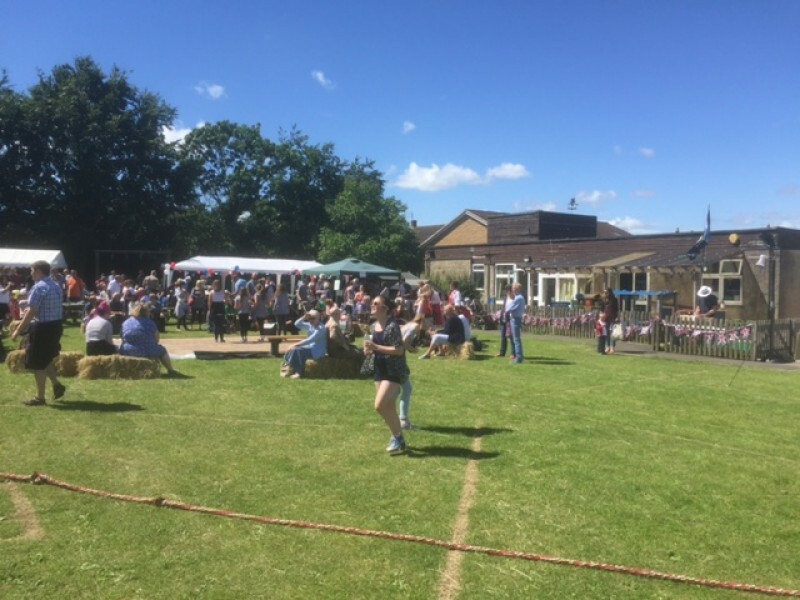 I enjoy attending events in Semington and especially the annual fete at St Georges School. I was pleased to be able to attend Jubilee celebrations in the village and my wife and I really enjoyed attending the selection of the Jubilee Queen at the school and the street party outside the pub. 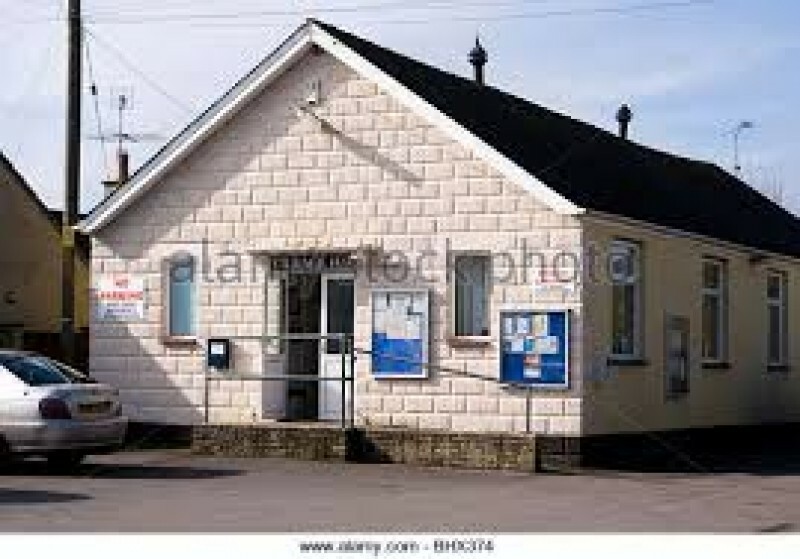 Working with the Semington Parish Council is always a pleasure and particularly as it is so efficiently run. There have been several local issues that have affected Semington and I have engaged in these on behalf of the community. On the new sports ground I have helped Cllr Kevin Lockwood to steer his way through the planning and grants process and I look forward to watching matches on the pitch. I have also been involved in obtaining a satisfactory outcome for the village in the recent planning applications that have affected the village and I remain hopeful of a long term and successful outcome on this matter. I understand and empathise with the concerns of the villagers of Semington on the Travellers issue and I was pleased to see the government committed to curtailing some of the more questionable practices employed by travellers in establishing pitches without going through the planning process. During my election campaign in 2009 I hosted a public meeting on this issue attended by over seventy locals, two MPs and a prospective parliamentary candidate. I am committed to fight for one set of planning rules for all. I also do my best to obtain community grant funding for the village and we have had recent success with a Melksham Area Board community grant for Village Hall kitchen refurbishment. 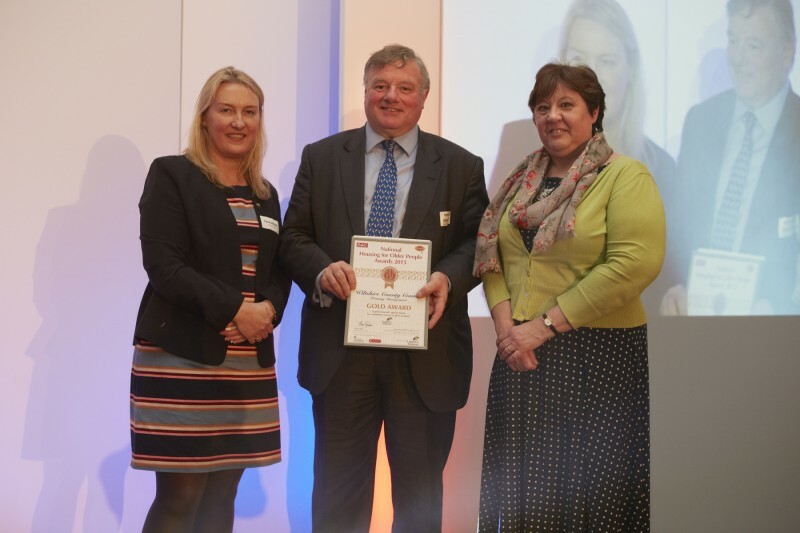 Great Hinton is the smallest community in the Summerham and Seend Division and is a thoroughly charming and well-kept rural Wiltshire village as was proven by the village success in the 2012 Best Kept Village Competition. The presentation of the Best Kept Small Village award by the Lord Lieutenant was a very special village event. Above: the iconic Great Hinton phone box! I attend the Parish Council at Great Hinton and listen carefully to the issues which affect the villagers of Great Hinton. It is always a pleasure to be involved with the affairs of Great Hinton and particularly where I can help. 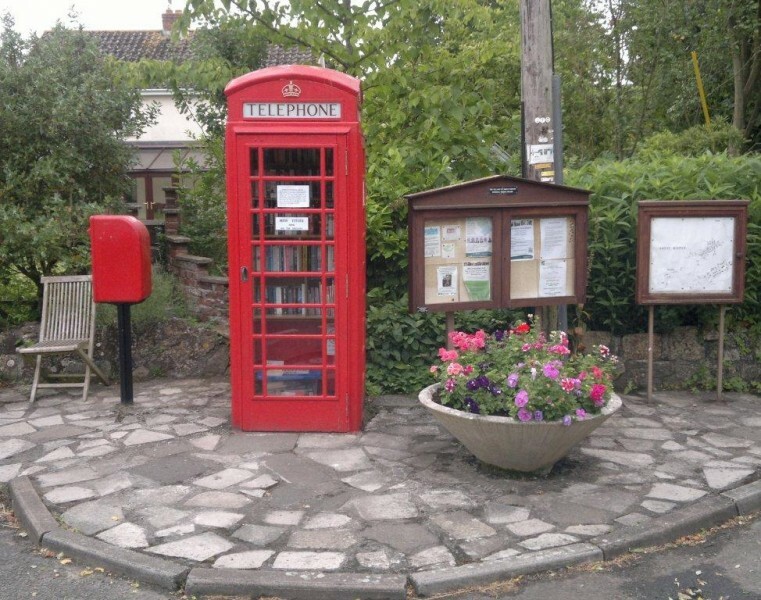 I was pleased to see the Melksham Area Board grant funding towards the new carpet bowls storage frame and the important refurbishment of the iconic village red telephone box. I get involved in local issues and represent Great Hinton where I can help. I am currently concerned and engaged on the issue of the possible construction of a second runway at RAF Keevil. I have engaged with the Parish Council, Wiltshire Council, Members of Parliament and a Defence Minister on the matter and will continue to represent Great Hinton on this very important issue for the village. Great Hinton has suffered from flooding and effluent discharge into village ditches in recent years. As part of my role both as local Wiltshire Councillor and lead Member for Flooding I have been active in the bringing together of the residents, Council officers, and Agencies who can work together to resolve the village flooding issues. Steeple Ashton is a lovely village with a vibrant community spirit and the residents take great pride in their village. The village is to be congratulated on winning their section of the 2008 Wiltshire Best Kept Village Competition and backing that up with a strong showing in 2012 and 2013. It is always a real pleasure to visit the Longs Arms and also to pop into the community shop for supplies. It is a great credit to the village that the new Playing Fields Changing Pavilion has been completed and that the more grand Pavilion project continues to receive support. I have attended and listened to the very ably administered Steeple Ashton Parish Council and Councillors really do take their representation of the Parish seriously. I am a member of the Steeple Ashton and villages Branch of the Conservative Party and look forward to attending its AGM this year. Amongst the issues with which I have engaged in Steeple Ashton is intervening for a successful conclusion to the Longs Arms roadside access issue. I have also taken a keen interest in planning matters that affect the village and in particular I have helped to facilitate the successful conclusion of the planning issues surrounding the use of the old school buildings by the Guild of Spinners and Weavers. I was also very happy to assist and to help negotiate the transfer of ownership of St Mary's Playing Field from Wiltshire Council to Steeple Ashton Parish Council and it is fitting that this land is now in village ownership. I have taken a keen interest in the community of Keevil and regularly attend the Parish Council in order to listen to the issues that affect both the people of the Village and residents of the surrounding area. I get involved in local issues and represent Keevil where I can help. I am remain concerned and engaged on the issue of the possible construction of a second runway at RAF Keevil. I have engaged with the Parish Council, Wiltshire Council, Members of Parliament and a Defence Minister on the matter and will continue to represent Keevil on this very important issue for the village. I am always keen to support local village projects and I was pleased to be able to help secure funding for the village tentage from Melksham Area Board. 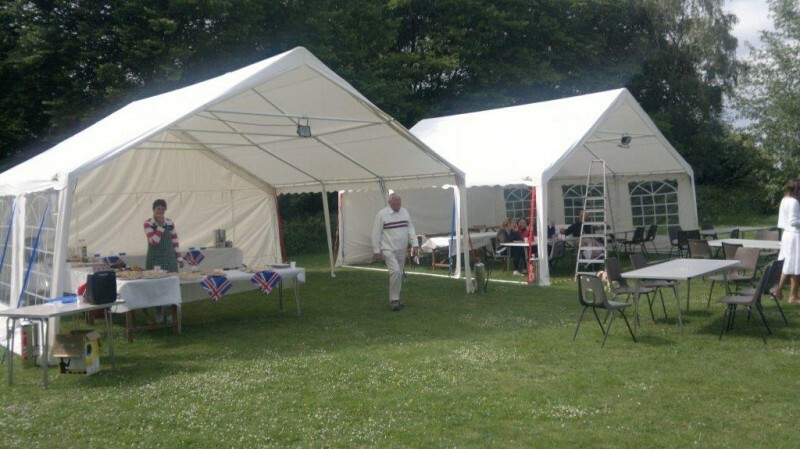 These tents are already proving to be a great asset and I was delighted to experience the tents in use during the Keevil village Jubilee Celebration Cricket Match. I am pleased that after four years of pressing for work to be done, Wiltshire Council have finally been able to restore and repair of Keevil Footway. This newly surfaced footway will make life so much easier for our residents to move about the village.. Wiltshire Council are to be congratulated on the efficient manner in which they conducted the restoration of the footway and also for the careful manner in which they preserved the village snowdrops on the footway bank. As the local Councillor and Wiltshire Council lead Member for Flooding I am acutely aware of the dangers of flooding to the village of Keevil. Keevil was badly affected as a result of the flooding in December 2007 and was again affected in January 2014. In 2008 in Keevil Parish Council called together a joint flood working group which I attended. Representatives of the county, district, and parish councils together with the Environment Agency sat down to discuss ways to improve Keevil's flood defences. The flood defence situation was not being helped by the differing positions being taken on responsibility by county and district councils and of course riparian landowners. This has been much simplified by the creation of the Unitary Council and is an area where coordinated improvements have been brought to a very real village problem by joined up local government. I have helped to facilitate flood alleviation work by the local highways department and we are very grateful to them for their input. I know the Village of Bulkington well and it has been a real pleasure to become involved in the local community there. I have attended the Parish Council and found their deliberations to be interesting and informative. I always try to help where possible on matters ranging from of local flood alleviation to assistance with complex planning issues. I get involved in local issues and represent Bulkington where I can help. I am currently concerned and engaged on the issue of the possible construction of a second runway at RAF Keevil. I have engaged with the Parish Council, Wiltshire Council, Members of Parliament and a Defence Minister on the matter and will continue to represent Bulkington on this very important issue for the village. The most effective small village project work that I have ever seen took place in Bulkington over the past few years. The village successfully bid for over £50,000 of Lottery Funding for imaginative new play equipment in the village playing field. The result is a fantastic facility that not only serves the village but also attracts children from the surrounding area. 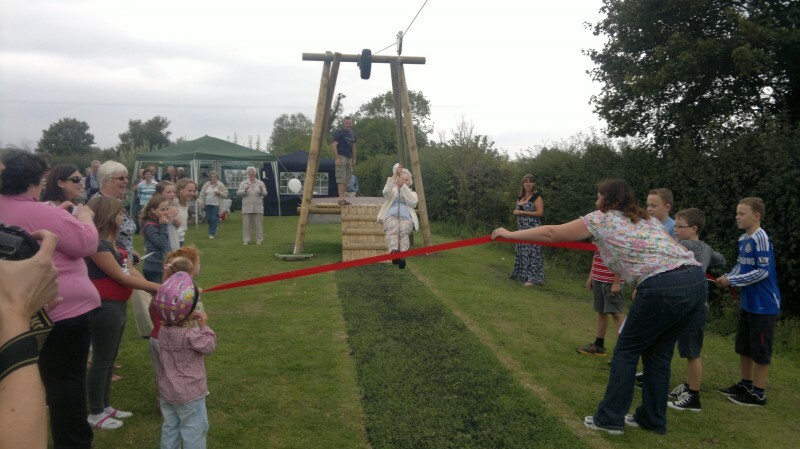 Above: Bulkington's bid for Lottery Funding paid off, with the new play equipment becoming a great village asset. Attending events in the division is always enjoyable but doubly so when they are run by local supporters and enthusiasts. The Easter Monday Opening of the Great Bulkington Railway is run by someone who is both a supporter and an enthusiast and Neville Boulton really does put on a good show in the grounds of his house in Mill Lane. Over 2,000 metres of track have been laid around the garden, a tunnel and station have been created and then add the home made cakes and tea and the picture of a very English afternoon is complete. I have visited the open day with my daughter and we had a lovely time and learnt a great deal about model railways. I have helped the villagers of Bulkington to resolve some of their flooding issues and, working together with Keevil, we have had some considerable success thanks to the ever accommodating Melksham area highways management. Helping to save the village hall by getting the new flooring installed with the help of a community grant funding from the Melksham Area Board was a very important issue for the village. Seend is a village which I know well and I have many friends who live and work there. I have helped with issues of interest to the village over past months and this has included representing the district councillor both at committees of Kennet District Council and locally. I have also attended meetings of the Parish Council which I have found to be very useful. There is clearly a very deep interest in the affairs of local government within the people of Seend and this has resulted in their Parish Council meetings being so well attended and issues discussed by more than just the council itself. Seend also has an excellent village school which received an outstanding OFSTED report which reflects a great deal of hard work by staff and pupils. 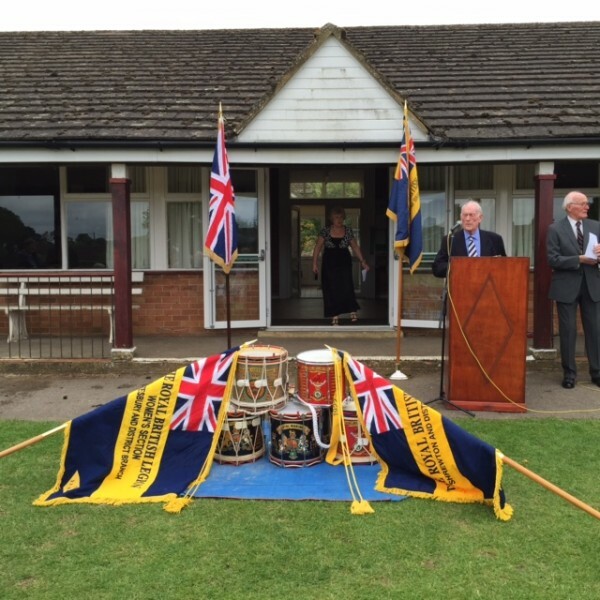 I have tried to attend events across the division of Summerham and Seend and found events such as the Seend Royal British Legion Drumhead Service to be both tremendously poignant and a great opportunity to meet local people. My wife and I very much enjoy the Seend St George’s Day Supper and the annual Village Fete. I have been helping both individuals and the Parish Council to deal with thorny planning and road safety issues and I hope that we will have success with these. I am also trying to help the village keep up its excellent appearance and condition by sponsoring one of the new village flower planters. Another issue that I feel strongly about is the construction of wind farms in our beautiful county. I oppose the construction of local onshore wind farms unless all the affected local residents agree to their construction. The recent solar issue has created a great deal of concern in the village. I am generally in favour of renewable energy but I do not want to see our countryside littered with solar farms. I have adopted a policy of negotiating hard on those applications where I see little chance of winning a planning appeal and did this successfully with the Poulshot Lodge application which was supported by Seend Parish Council. I opposed the Sandridge Solar application on grounds of its unacceptable scale, visual impact and cumulative effect and was pleased to be able to say so at the recent Strategic Planning Committee which voted to refuse this application. However the decision of the Planning Inspectorate was to support the application and the solar farm has now been built . 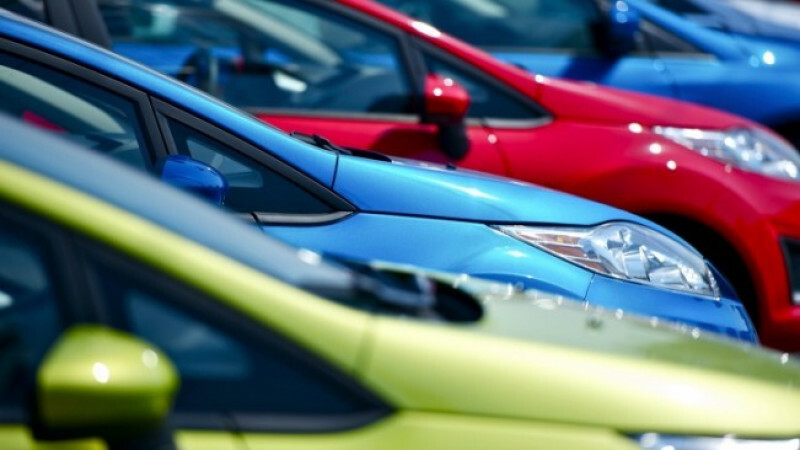 One issue which I am really pleased to have been instrumental in solving is the long running parking problem at Martinslade caused by canal residents parking in Spout Lane. Working together with Wiltshire Council, Seend Parish Council, the Melksham Community Area Transport Group and the Operational Flood Working Group we have been able to enable the construction of a new lay-by which has solved the parking problems on Spout Lane. Above: I am really pleased to have been instrumental in solving is the long running parking problem at Martinslade. I have many friends who live in the village of Poulshot and I know the village well. I have enjoyed my involvement in the affairs of the local community in Poulshot and especially attending village events like the Jubilee Beacon Party the annual village fete. I attend meetings of the Poulshot Parish Council and have given advice on planning matters, flood defences, area board placing and successful assistance with community grant applications. Over the past few years I have helped the village to obtain funding from the Melksham Area Board for projects that are important to the village; these have included the purchase of village tentage and the cleaning of the ponds on the Green and helping to restart village cricket on the village green. Above: cricket on the village green. Not all issues are resolved to the satisfaction of all of the individuals concerned but I have recently helped the Parish Council to deal with two difficult planning issues and I hope that we can all move forward for the benefit of the whole community in this area of work. Every village needs to develop and recent planning decisions will help local businesses to develop and help the village to thrive. I have also helped to highlight Poulshot and particularly Townsend's flooding difficulties with the council and this has included a visit with the senior drainage engineer and by successfully working with locals we think that we have pretty much resolved the Townsend flooding difficulties.